These flatlays are stunning. I love the OHD party shop and have placed many orders over the past (almost) year that it’s been open. 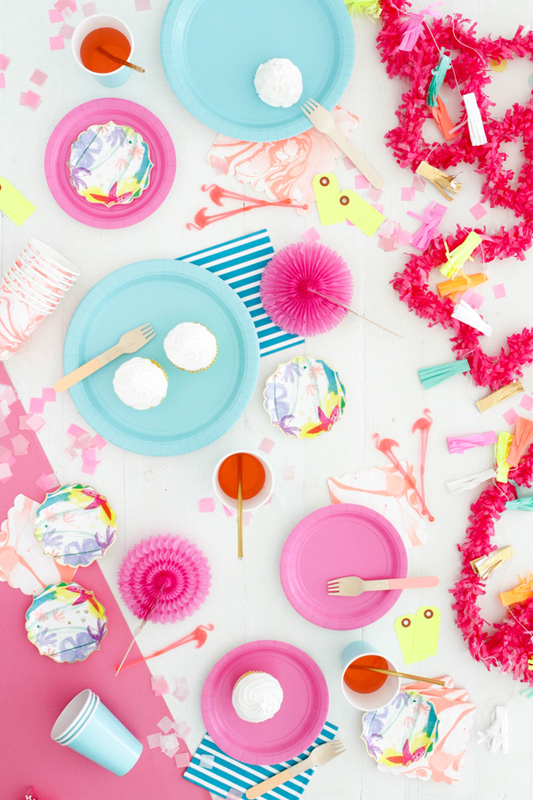 It’s such a colorful party resource! But one thing that always surprises me is that each package doesn’t contain a “Thanks for your order” type note. I do a lot of shopping online through different boutique shops (kids clothing, Etsy, and vintage stores) and nearly ALL of them provide something to acknowledge and appreciate their customers. It doesn’t have to be hand-written, even something printed is better than nothing, but it makes a world of difference. It’s the little extras that mean the most and would make the OHD party shop even better! 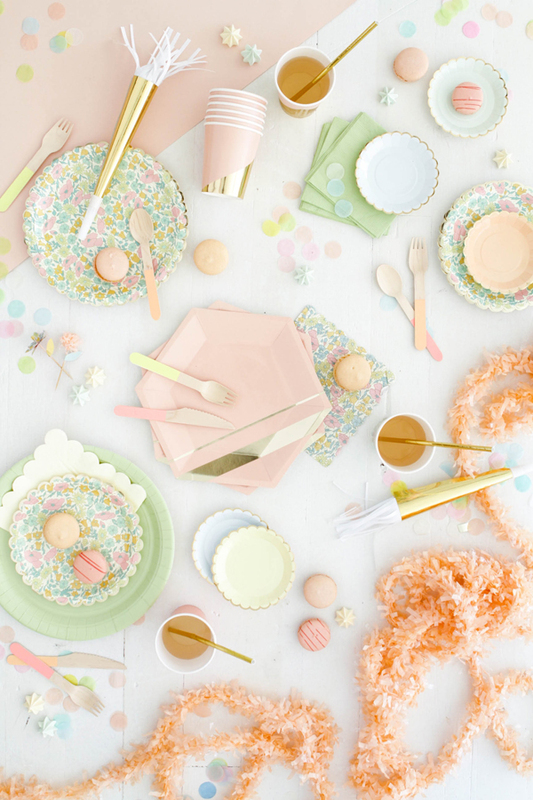 Definitely in love with the pastel colour scheme, especially the plates are wonderful! I love the blue color scheme in the second setup! Tropical Brights setup is my jam! I love the new designs! I just picked up a bunch for my upcoming birthday! Oh, I love all three! My favorite would probably be the tropical brights! I love using bright rich colors! It just gives such a festive feel! 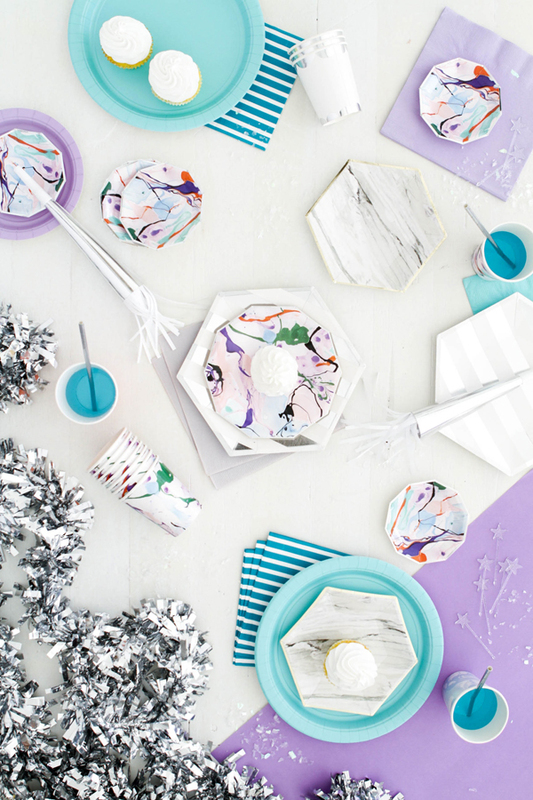 However, pastels are coming in at a close second! I love the pasteel party!! !